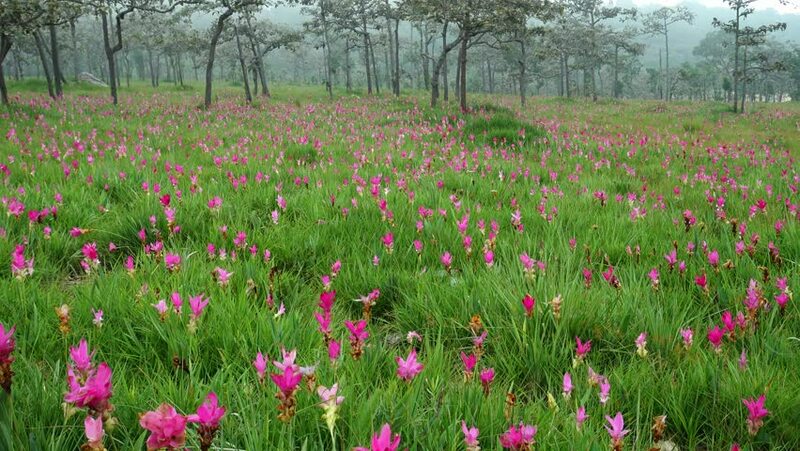 Siam tulip, the pink flowers in Chaiyaphum province, Thailand. hd00:15View across three levels of blooming fireweed in Alaska. hd00:27Lots of beautiful pink flowers slowly wawing by soft wind at shiny day protected by big branchy trees. Right side camera turning.